Kayfa yahdillaahu qawman-kafaruu ba’-da ‘iimaanihim wa shahiduuu ‘annar-Rasuula haqqunw-wa jaaa-‘ahumul-Bayyinaat. Wallaahu laa yahdil-qawmaz-zaalimiin. Allah Almighty has commanded in this verse that He will never guide the wrongdoers. Wrongdoers are those people who disbelieved after their belief. They neither accepted the truth themselves, nor invited others for good disposition. In addition, their refusal became resistance for others to believe in. Some people chose infidelity after recognizance of the Truth. They see the reality with their eyes, when they join their own people; they also affirm secretly that the Messenger (grace, glory, blessings and peace of Allah Almighty be upon him) is True. Bright proofs, open signs and clear glad tidings of his truth, sincerity and fidelity have reached them. Despite, their arrogance, envy and love of personal dignity have been preventing to embrace Islam and leave the infidelity. It was common condition of the Jews and the Christians. How can it be hoped that either Allah Almighty will forgive them who are such obstinate and perverse Infidels, or bring them towards the Way of His Pleasure and lead them to reach the paradise? It is not His principle to bestow the real success to the unjust, bigoted and disobedient tyrants. The people, who embraced Islam, bore witness that the Messenger (grace, glory, blessings and peace of Allah Almighty be upon him) is true and after clear proofs (of Allah’s Sovereignty) had come unto them, they deserted from Islam and became renegade following the worldly motives, sensuality and luxury, their condition will be worse than the above categories. They will be rightful owners of curse and punishment. Who will be blinder than a person who gets light but afterwards openly says the darkness as light? Who will exalt him? These people will be losers on the Day of Judgment. Biggest loss for them will be that they would have wasted even their principal (capital). Every human being has been born on the virtue and good fortune of the human nature. But the human being destroys his good nature by wrongdoing, flowing in the ambitions of shameful passions, wrong thoughts and disgusting desires. And he falls much down from the grade of humanity. It is the form of loss. When such people tyrannize themselves, after knowing the truth and difference between good and bad, they choose the path of evil, and turn away from the orders of Allah Almighty, then how can they be guided towards the straight path? They adopt perverseness due to their wrongdoings, are entangled in stray and loss real essence of the humanity. May Allah Almighty save us from the company of likewise people and their evils. Wa many-yabtagi gayral-‘Islaami Diinan- falany-yaqbala minh. Wa huwa fil-‘Aakhirati minal-khaasiriin. It has been described in this verse that if someone seeks any other religion except Islam, that will not be accepted by Allah Almighty. He will be punished in this world for his such attempt as well as he will be a loser in the Hereafter. It is the fact that while the religion (Islam) has been revealed in its full form, then no liar, self-made or incomplete religion can be accepted. If after rising the sun, someone kindles a lamp or searches the light of the stars, then it would be stupidity only. This same likeness is accurate about the religion. Now the time of any local religion, creed relating to breed and limited guidance has passed. Above all each person should get light only from the last and conqueror of the world Messenger-hood and guidance, because it is the treasury of the entire illuminations, in which all the previous lights have been inserted. The aim from it is to reprimand the children of Israel, “Don’t seek as religion other than Islam. Moreover, get protection in its embrace. You are bearer of which religion or you claim about which Scripture as yours, their principles and formulas are exactly according to Islam and the Islam has a little superiority upon them”. The appearance of the Jewish and Christianity religions was local. These religions were sent only for a particular nation and time to be adopted. 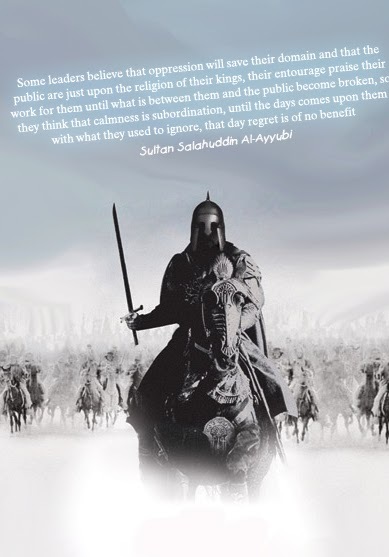 Islam is a conqueror of the world, perfect and collective religion. It comprehends upon all fields of life. Therefore, if you wish to become faithful to your religion, then embrace Islam. You will get salvation and respect because of it. If you will remain standing opposite notwithstanding its comprehension, and seek any other religion except Islam, then surely it will be false, misled and self-made. Therefore, it will never be accepted. In addition, those people will get severe punishment of their infidelity and denial. 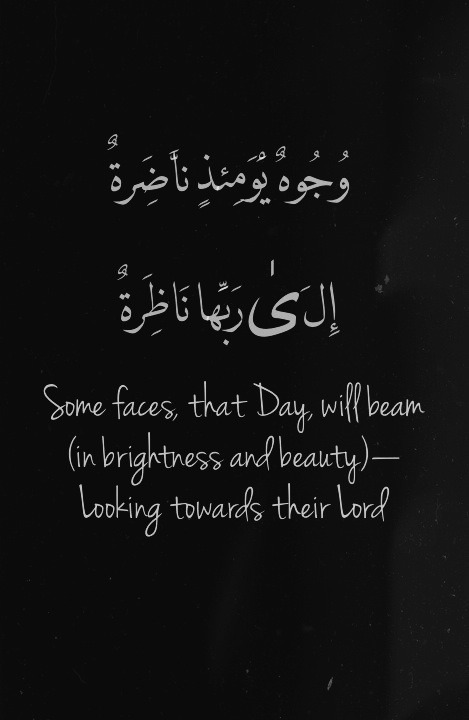 They will find themselves between the losers on the Day of Resurrection. This world is just like an examination hall and the result of its deeds will be given in the Hereafter. The person who will sow the seeds of good acts with digging and labor in this world, he will get pleasure and comfort on the Day of Judgment, and who remained earning the worldly wealth and property due to his perverseness and spite, he will get there obdurate loss. Therefore, we should not remain imprudent; we should adopt the path of goodness becoming farsighted. Otherwise, it is much difficult to escape from the loss of Hereafter. Farsighted is he who tries for his better end, specifically such end which is of a permanent nature, neither that is temporary nor for the time being. What is the Message of Islam? The easy (and correct) answer is that simply, there is only One God and that the Prophet Muhammad (saw) is His Messenger. With this, a Muslim holds strong to the Five Pillars of Islam and believes in each Pillar of Faith. But the Message of Islam is much, much more. It is a way of life, a guide, a teacher and a judge. It is a universal idea without discrimination. It knows no race, nationality, gender, or social class. It is compatible with daily life and is timeless. This world is not the final destination, but only a stop along the way. The Message of Islam is ALLAH Subhana Wa Ta’ala Instructions to mankind, so that we may be successful in this part of our journey. A Muslim is commanded to do certain things, behave in certain ways, and learn and grow within the community. A Muslim must work and sweat for his or her wages and give generously to those who have little. Equality in economics, justice, politics, and family is essential. Neighborly kindness and support are incumbent. Parents, children, brothers, sisters, husbands, and wives have obligations and rights which form a balance in society. Acquiring knowledge and discipline, and learning how to deal fairly with those around you are challenges directly from ALLAH (swt). A Muslim knows how to handle these tasks by following the Message of Islam. Qul ‘aamannaa billaahi wa maaa ‘unzila ‘alaynaa wa maaa ‘unzila ‘alaaa ‘Ibraa-hiima wa ‘Ismaa-‘iila wa ‘Is-haaqa wa Ya’-quuba wal-‘Asbaati wa maa ‘uutiya Muusaa wa ‘Iisaa wan-nabiyyuuna mir-Rabbihim. Laa nufarriqu bayna ‘ahadim-minhum. Wa nahnu lahuu Muslimuun. Now practical likeness of the Muslims have been provided to the People of the Scripture. The Jews and the Christians prove to be wrong, falsified and denied all the remaining Prophets and heavenly Books except their own Prophets (peace be upon them) and heavenly Books (the Scripture). It has been told in this verse about the stance of the Muslims that those people who have entered in the nation of Last Prophet (grace, glory, blessings and peace be upon him) and embraced Islam, they believe in the entire previous Prophets as sent by God Almighty (peace be upon them) without distinction and discrimination. They consider the ancient Holy Books as the Word of Allah Almighty, admit that, “We believe in Allah and understand all the Prophets (peace be upon them) are sent by Him as his Prophets/Messengers (peace be upon them). 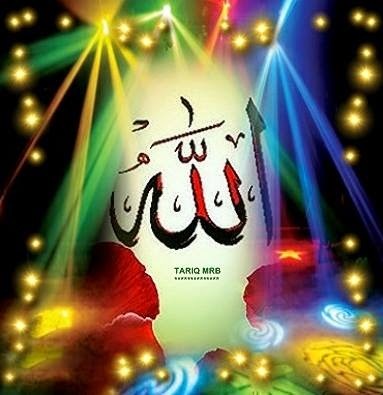 Having belief in Allah cannot be considered true without obeying His commandments. We have faith in that Speech of Allah Almighty which is revealed in the form of Holy Qur’an for us and we believe in the important series of the Prophets (peace be upon them). We also admit all those orders, which used to reveal periodically unto Abraham, and his generation’s Prophets, like Ishmael, Isaac and Jacob and out of their tribes (peace be upon them). After them, we have also faith in the Divine’s Word, which was revealed upon Prophet Moses (peace be upon him) in the form of Torah and Jesus (peace be upon him) and the Gospel. Near us these entire Prophets (peace be upon them) were sent by Allah Almighty. They were honest and truthful. The Scripture, which was revealed upon them by Allah Almighty, was rightful. We do not differentiate between them. We do not falsify to anyone of them. Because accusing any Prophet of falsehood will bring in Infidelity, even if everyone else is considered as Prophet. 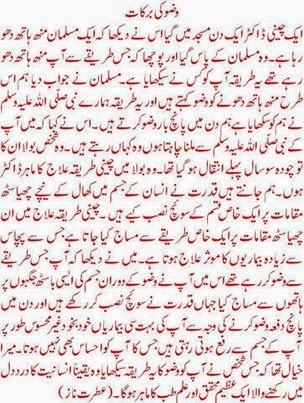 We are real Muslims (the obedient of Allah Almighty). Nahnu lahuu Muslimuun – (unto Him we have surrendered), the stance of the Muslims has been cleared in this sentence that every Muslim believes in all the Prophets who were sent by Allah Almighty, were honest. Aim of these verses is to produce a pattern for following by the People of the Scripture that, “if you claim to be Muslims then it is the Straight Path. 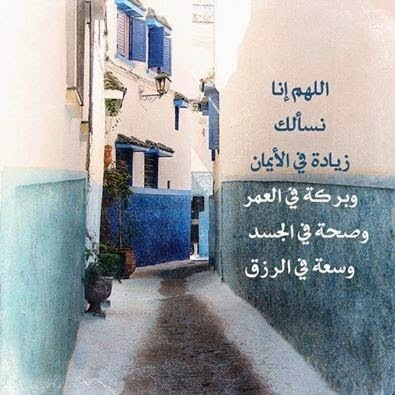 You will reach the destination if you adopt it”. Seek they other than the religion of Allah, when unto Him submitheth whosoever is in the heavens and the earth, willingly or unwillingly, and unto Him they will be returned. Afa-gayra Diinillaahi yab-guuna wa lahuuu ‘aslama man fis-samaawaati wal-‘arzi taw-‘anw-wa karhanw-wa ‘ilayhi yurja-‘uun. Diinillaahi – (the religion of Allah), this word has already been used earlier many times. Diinmeans fashion, custom, rites, observances and a way of life, for instance; that particular manner of thought and practice, which is foundation of solicitude and view for work, effort and action. Every community has its own specific ideologies. These ideologies fix his form of thinking. Then in accordance with them, it moulds its all-social manners of living, mode and civilization. The people of the Scripture had known the news regarding the period of the Last Messenger, Prophet of Islam (grace, glory, blessings and peace of Allah Almighty be upon him) from their Heavenly Books. Their prophets (peace be upon them) had caused to hear them the glad tidings that one last prophet (grace, glory, blessings and peace of Allah Almighty be upon him) has to come, whose religion will be of international level. When Prophet of Islam (grace, glory, blessings and peace of Allah Almighty be upon him) came, they knew him well. But due to envy, malice and persistence they disbelieved in him (grace, glory, blessings and peace of Allah Almighty be upon him), denied to embrace Islam and gave the lie. In these conditions, the question raises that if these people are not ready to adopt the most perfect and magnificent religion like Islam, then which religion they like? Do they seek the religion which would be quite separate from entire religions bestowed by Allah Almighty, or they are desirous of any self invented religion? Whereas in the world, Islam used to remain and will remain always as the religion of Allah Almighty, which means obedience. That is to say; to bow the head in front of any order whenever it reaches through any Prophet or Messenger (peace be upon him). Today which religion is being presented by the Last Messenger of Allah Almighty (grace, glory, blessings and peace be upon him), is the same Islam. Freedom is not possible without it. Real success cannot be acquired due to turning away from it. The humankind should never deny obeying the command of Allah Almighty for his own happiness and likeness, wishing this order is cause of happiness for him or he feels compulsion and helplessness in its execution. Some creatures of Allah Almighty are those who accept pleasantly the orders of Allah Almighty as the Angels (peace be upon them), the pious persons and worshipers, and some are those who believe in by force as deniers of the truth, whereas, satisfaction of the hearts cannot be gotten without the religion of Allah Almighty. These entire matters will be illuminated upon these deniers of the truth, when all the humanity will be present before Allah Almighty on the Day of Judgment. The entire creations will have to return there inevitably. Each wise person should be ready before that Day’s presence. If he remains here (in this world) disobedient then what face he will show there? Faman- ta-wallaa ba’-da zaalika fa-‘ulaaa-‘ika humul-faasiquun. As it was mentioned in the previous lesson that Allah Almighty had made covenant with the Prophets (peace be upon them) that they will believe in the last Prophet (grace, glory, blessings and peace be upon him) and guide their nations also to believe in him. Since the Prophet (peace be upon him) exists innocent, so it cannot be thought about him that he would be faithless to his word. Therefore, the people about whom the suspicion has been revealed, they might be only out of the nation. Allah Almighty has commanded about them that they will be counted in the big disobedients. Allah Almighty had knowledge at the time of creation of the sons of Adam that the human being is immature from the side of his sense and puppet of the avarice. He keeps inclination to turn towards the evil. He does not try to escape from becoming disbeliever due to greediness and covetousness. 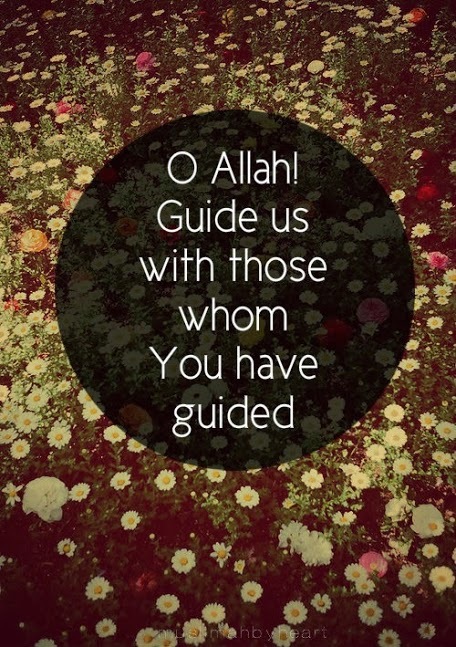 Therefore, it is necessary to guide him. Allah Almighty began to send His Prophets (peace be upon them) for the guidance of mankind. But it is evident that the Prophet (peace be upon him) never remains living in the world always. It was unavoidable to send the Prophets (peace be upon them) one after one. In such a manner the Prophets (peace be upon them) used to come in the world for the guidance of the humankind. It was needful to establish fellowship between them for the success of this system. They would be taught the same kind of principles and formulas, bestowed same type of basic rules and regulations for rectitude and righteousness, and along with it urge them to help each other. So that the prejudiced and stingy persons might not consider their religion as the last one, which was preached only by their Prophet (peace be upon him), and would not falsify the next coming Prophet (grace, glory, blessings and peace be upon him). Therefore, Allah Almighty made covenant with the entire Prophets (peace be upon them). These all Prophets (peace be upon them) used to guide their nations on this topic according to their covenants. In all, there were also Prophet Moses and Jesus (peace be upon them). These both venerable persons told their nations (the Jews and the Christians) about fair divine inspiration of the apostleship of Last Messenger, Muhammad (grace, glory, blessings and peace of Allah Almighty be upon him). 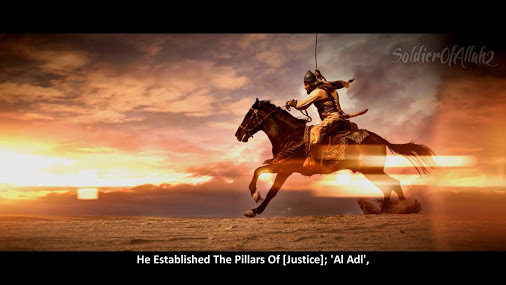 But their nations ignored the sayings of these noble persons (peace be upon them), altered the Heavenly Scripture, put the difference in meanings of their verses and participated with exertion in each type of insurrection. When the Messenger of Islam (grace, glory, blessings and peace be upon him) was sent, they denied to believe in him after knowing and did not care the orders and guidance of their Prophets (peace be upon them). They tyrannized themselves becoming disbelievers and caused to enumerate in the disobedient. faasiqun– (miscreant), those people who infringe the orders of Allah Almighty and are agreed upon the criminals of disobedience. 81. When Allah made (His) covenant with the Prophets, (He said): Behold that which I have given you of the Scripture and knowledge, and afterward there will come unto you a Messenger, confirming that which ye possess, ye shall believe in him and ye shall help him. He said: Do ye agree, and will ye take up My burden (which I lay upon you) in this (matter)? They answered: We agree. He said: Then bear ye witness. I will be a witness with you. wa ‘iz ‘akhazal-laahu Mii-saaqan-Nabiyyiina lamaaa ‘aa-taytukum- min- Kitaabinw-wa Hikmatin- summa jaaa-‘akum Rasuulum-Musaddiqul-limaa ma-‘akum latu’-minunna bihii wa la-tansu-runnah. Qaala ’a-‘aqrartum wa ‘akhaztum ‘alaa zaalikum ‘Isrii. Qaaluuu ‘aqramaa. Qaala fash-haduu wa ‘ana ma-‘akum-minash-Shaahidiin. The same fact has been repeated in these verses, that none Prophet (peace be upon him) teaches the people for his own devotion. 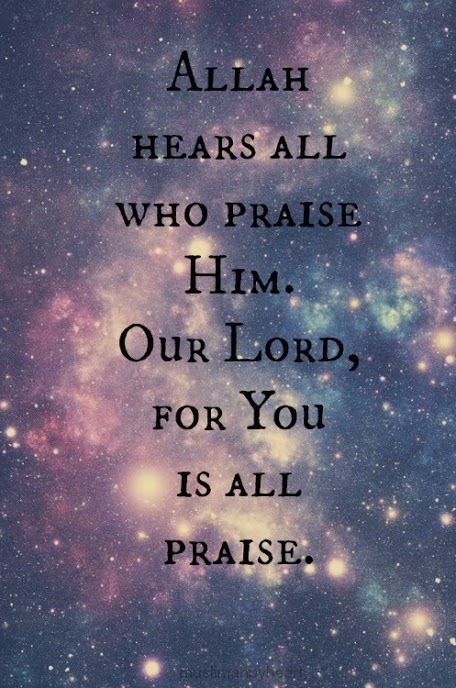 He just teaches the worship of one God (Allah Almighty). Allah Almighty has made covenant with the Prophets (peace be upon them) also as well as the common people that when another prophet comes after anyone of you, definitely he will verify the former Prophets and their Scripture. Therefore, it is important that the Prophet who has come earlier, he should believe in the authenticity of the Prophet (peace be upon them) who came later and help him. If he does not find his time, then he should urge his nation perfectly that they should believe in the upcoming Prophet (grace, glory, blessings and peace be upon him) and help him. To bequest the people like this is also included in helping him. It manifests from this verse that the promise has been made with the entire Prophets that they would believe in the last Prophet of Allah Almighty, Muhammad, (grace, glory, blessings and peace be upon him) and help him. Because he (grace, glory, blessings and peace be upon him) was coming in the last of all the Prophets and all of them (peace be upon them) had passed over before his arrival. 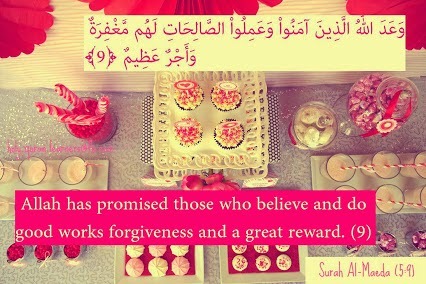 Obviously, the entire prophets (peace be upon them) would have made their covenants with their people. Therefore, hazrat Ali and Ibn-e-Abaas (may Allah Almighty be pleased with them) said, “This type of covenant was made with the Prophets” and the Holy Messenger, Muhammad (grace, glory, blessings and peace be upon him) said himself, “If Mosses (peace be upon him) were living today, there was no other chance for him without following me”. In addition, commanded, “When Jesus (peace be upon him) will descend, he will decide on Holy Qur’an and circumcision of your Prophet (grace, glory, blessings and peace be upon him). It has been described in this verse that Allah Almighty asked for more Emphasizing, “Do you affirm?” All the Prophets (peace be upon them) represented that they agreed to. Allah Almighty ordered, “Then bear ye witness. I will be a witness with you”. 80. And he commanded you not that ye should take the angels and the Prophets for lords. Would he command you to disbelieve after ye had surrendered (to Allah)? 80. Wa laa ya’-murakum ‘an-tattakhizul-malaaa-‘ikata wan-Nabiyyiina ‘arbaabaa. ‘Aya’-murukum- bil-kufri ba’-da ‘iz ‘antum-Muslimuun. Rabbaa-niyyiina – (faithful servants of the Lord), this word has come out from Rabb. Rabb means The Cherisher, The Provident; God. That is to say; That Entity, Who bestowed existence to the entire creation and universe, and granted steps for improvement and completion. It has been corroborated more in this verse, which was described in the previous lesson, namely a Prophet upon whom Allah Almighty takes pity too much that He causes to reach him up to the rank of Prophet-hood, he (peace be upon him) will never invite the people to worship him instead of God Almighty. On the contrary, he (peace be upon him) brings the people in Islam causing them to release from infidelity and belief in a plurality of God Almighty. How can he (peace be upon him) teach them about infidelity? The Messenger (peace be upon Him) sent by God Almighty, cannot preach the people to make the angels and prophets as their lords like the Christians who had fixed the Prophet Jesus Christ and the angel Gabriel (peace be upon Them). Moreover, one group out of them had fixed Prophet Uzair ‘Ezra’ (peace be upon Him) and some Idolaters had settled the angels as their lords. When the angels and Prophets (peace be upon them) cannot be the partners in the Divinity, then the idols of stones and the wood of crucifix are in which count? At the end Allah Almighty commanded, “How can it be so, that a Prophet who tries to make the people Rabbaa-ni(faithful servants of the Lord), the Muslim and Muwahhid (believing in one God). And when they embrace, then he (the prophet) (peace be upon Him) destroy all his labor and performance due to bringing them towards infidelity and belief in a plurality of God Almighty. Like this Allah Almighty disclosed the innocence of the prophets (peace be upon Him) openly. He refuted those entire calumnies, which the Christians had charged falsely upon the prophets (peace be upon Him). ‘Ibaadun – (faithful persons, slaves), its singular is ‘Abd. The words Ma’-buud (worshipped), ‘ibaadat (worship)and ‘abuudiy-yat(service of God, devotion, adoration) have been derived from this word. ‘Abd means Slave and servant, that is to say; the person who is neither independent nor free, but he/she is bound to act as per the instructions of his/her Lord and Ruler. In the presence of the group from Syria (Najraan), some Christians said, “O Muhammad (grace, glory, blessings and peace of Allah Almighty be upon him) do you want that we should begin your worship as the Christians (Nazarenes) adored Jesus Christ (peace be upon him)”. Muhammad (grace, glory, blessings and peace be upon him) replied, “God forbid! That, if we worship someone other than Allah Almighty or invite others to do so. Allah Almighty has not sent us for this purpose”. Then the verse under discussion was revealed. Either this person has the potency to understand the rules of the government and fulfill his duties or otherwise. To what extent he may be hoped to get implemented the orders of the government and to maintain loyalty of the people. None king can appoint any person as his viceroy or ambassador about whom there would be even a little doubt of rebellion. It may be understood from this likeness that when the worldly governments are so much cautious, then Allah Almighty, Who has perfect knowledge about every thing, how will He send a person as Messenger, who would become His rebel and despite of telling the people to worship Allah Almighty as God, causes to be done servitude himself. This verse confutes the belief of Christians that Jesus Christ (peace be upon him) caused to say himself the son of God and made himself a partner in His Godhood or caused to be prostrated himself. How the Prophets and Messengers of Allah Almighty (peace be upon them) can do such clear error? Wa ‘inna minhum lafarii-qany-yal-wuuna ‘alsi-natahum bil-Kitaabi li-tahsabuuhu minal-kitaabi wa maa huwa minal-kitaab. Wa yaquuluuna huwa min ‘indillaahi wa maa huwa min ‘indillaah. Wa yaquu-luuna ‘alallaahil-kaziba wa hum ya’-lamuun. Allah Almighty has mentioned in this verse about religious embezzlement and dishonesty of the People of the Scripture. These people deceive the persons in their worldly matters as well as in the religious affairs. They alter the Words of Heavenly Books (the Scripture) and depose duly changed its meanings. They included some false self-invented descriptions in the Torah and Gospel and excluded entire those verses from the Holy Books, which they considered apparently not fruitful for them. Some people from them were those, who distorted the Scripture with their tongues, so that the listeners might be deceived and they might think that what they had said was from the Scripture. Their evil does not end here but they also used to claim that it entire is revealed from God Almighty, while it was not from the Scripture. How much hard heartedness would be more than it that they attributed all these false descriptions as from Allah, while they knew that it was not from Allah but their self-invented and they told a lie concerning Allah Almighty knowingly. For them surely there will be a painful doom. It is known from this verse also that the children of Israel changed the Scripture of Allah Almighty intentionally for the purpose of only worldly greediness. Due to revenge of this kind of evils, they were involved in different types of difficulties and torments from Allah Almighty. Entire favors were snatched from them. Their biggest favor was prophet-hood, which was transferred to the children of Ishmael (Last Messenger, Muhammad – grace, glory, blessings and peace of Allah Almighty be upon him) from them. 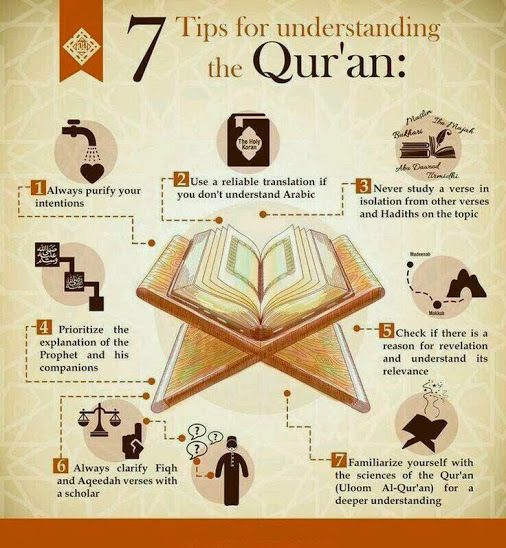 Now the Word of Allah Almighty is in our trust in the form of Holy Qur’an. We should preserve Its Words and Meanings completely and should not attribute any thing towards Allah Almighty, which is neither held in the Holy Qur’an nor is against the Will of Allah Almighty. 5. She gave birth to 2 of the Prophet’s sons and 4 daughters. Both passed away at a very young age.